Application Indicators (shortly knows as AppIndicators) have replaced the old Gnome Panel applets in Unity starting from Ubuntu Natty. 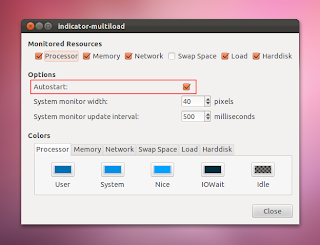 System Multiload and System Monitor AppIndicators let you keep an eye on your system's resources. Multiload indicator provides you with graphed and a bit detailed overview of the used/available resources, whereas the System Monitor indicator is a simple and comparatively lightweight option. This indicator gives you a detailed overview of your system resources including Processor, Memory (RAM), Network, Swap, System Load and Harddisk in a graphed output. You, yourself, can choose which resources you want to monitor. It resembles very much the 'System Monitor' applet for Gnome Panel. 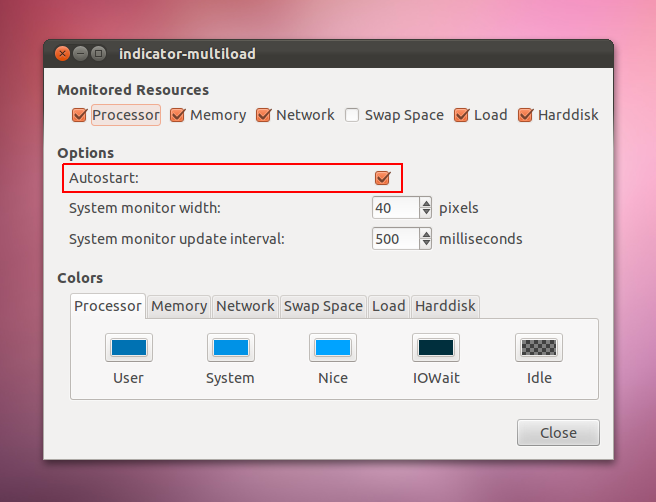 Once installed, search the Dash for 'multiload' and start it. You can customize it by clicking at the indicator anywhere in the top panel and going to 'Preferences'. In the preferences dialog, tick the resources you want to monitor or untick the ones you don't want to. The widths of the graphs can also be customized and also the update interval. You can also choose custom colors for every graph output. If you want to start it automatically when you log in, tick the box for 'Autostart' as shown in the screenshot above. Once installed, go to the Dash and search for 'sysmonitor' and open it. For configuring it, click at the indicator in the top panel and go to 'Preferences'. 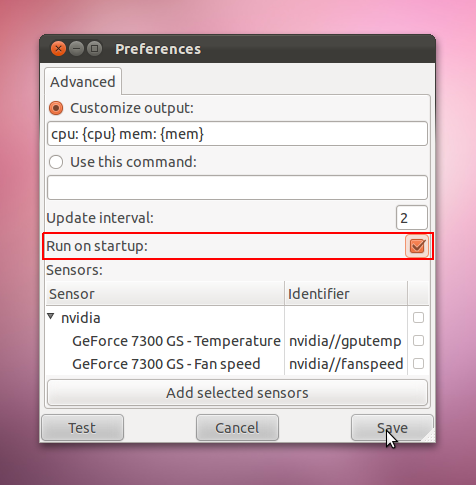 If you want to start this indicator automatically when you log in, tick the box for automatic startup as shown in the screenshot above.